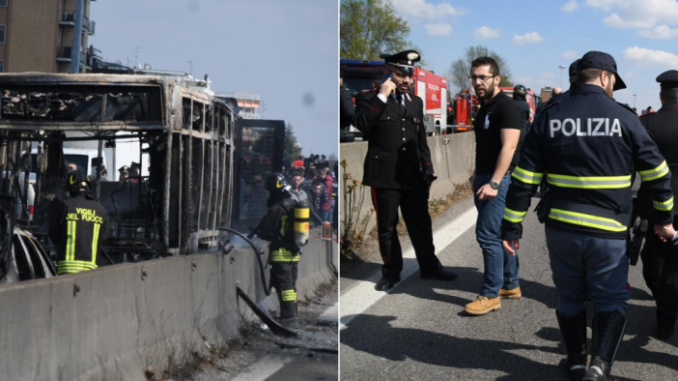 An immigrant from Senegal used gasoline to set a school bus on fire in Italy. Fifty-one kids and two adults were on board. Fortunately, the Italian Carabinieri had already intervened at this point and everyone was rescued alive. Over a dozen people were hospitalized with smoke inhalation. The perpetrator was hospitalized with burns. Ousseynou Sy became an Italian citizen in 2004. However, he has been arrested in Italy in the past for drunk driving and sexual abuse of a minor. Sy was transporting two middle school classes to a gym when he went rogue and deviated from his route. Apparently, he brought a gas can on board the bus with him and threatened to set the bus on fire to get everyone on board to cooperate. He confiscated all cellphones, but one student had a hidden phone that he used to call 112. The Carabinieri, which is part of the Italian Department of Defense but handles domestic law enforcement, set up a roadblock. After ramming the roadblock, Sy dumped gasoline into the aisle of the bus and set it on fire. The Carabinieri began smashing the windows of the bus and pulling children out. Sy allegedly screamed about “deaths in the Mediterranean,” an apparent reference to the false narrative of the NGOs. Many NGOs in Europe ferry illegal aliens from Northern Africa and Turkey to European ports and falsely claim that they “rescued” the people from drowning. Italy is now blocking these ships from docking at their ports. One student told reporters that Sy claimed Africans were dying because of Luigi Di Maio and Mateo Salvini. 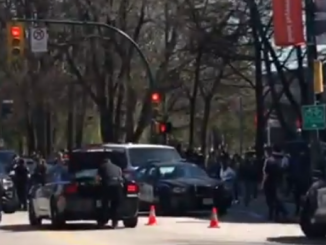 At this point, it is believed that the bus driver intended to commit a terrorist attack to promote open borders. Interior Minister Mateo Salvini called for an investigation into how a man with such a criminal record was hired as a bus driver in the first place. Sy has apparently been working as a bus driver since 2002 through a company called Autoguidovie. A spokesman for the company claims they had no knowledge of his criminal record. Senegal is a French speaking Islamic country on the northeastern coast of Africa.